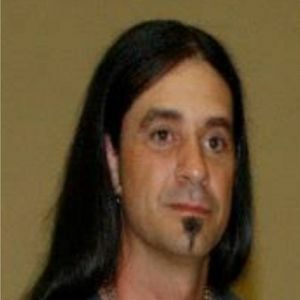 GREENVILLE - Keith Dale Dixon, 41, of Greenville, died Tuesday, September 23, 2014. Mr. Dixon was born January 22, 1973, in Sandwich, IL. He was a supervisor at T.R.A.D., and a member of Luzerne General Baptist Church. He was preceded in death by his grandparents, William and Altafay Jarvis, Virginia and Virgil Dixon, William and Brooksie Sanders, and James and Naomi Cobb; uncle Randy Jarvis; and aunt Linda Jarvis. He is survived by his wife, Derita Wells Dixon; son Gunnar Dixon of Greenville; daughters Kenzie Dixon of Greenville and Briana Oberhausen of Russellville; parents Bruce and Brenda Dixon of Browder; father-in-law and mother-in-law, Frederick and Kathy Wells of Greenville; brother-in-law Nelson Wells of Nashville, TN; and sister-in-law Brooklyn Wells of Greenville. Funeral services will be Saturday, September 27, 2014, at 10:00AM at Tucker Funeral Home in Central City, with Rev. Darren Pentecost officiating. Burial in Cherry Grove Cemetery. Visitation will be Friday after 5:00PM at the funeral home. Online condolences may be made at www.tuckerfuneralhomes.com. The beautiful and interactive Eternal Tribute tells Keith's life story the way it deserves to be told in words, pictures and video. Prayers for the family today. Derita, I am so sorry about your family's loss. I haven't been around Muhlenberg County in a long time, but I guess you never really leave. I'll will be praying for all of you. Our thoughts and prayers are with you all and for the days to come. Keith was a wonderful person and will be missed. Love to all. My wonderful, awesome cousin Keith...you always had the biggest smile the most infectious laugh the dancing est eyes. You always managed to make one laugh even at their saddest. I will NEVER ever forget you my cousin and your characteristics that made you so wonderfully YOU. Aunt Brenda, Uncle Bruce, Derita, Kenzie and Gunnar; there just are no fitting words. You stood where I am when I lost mother and you understand what I mean. I love you all soo soooo much and if there was something, anything I could say or do to take the pain, I would. Rest in Peace, Ole Friend. Your loved ones and family will be in my prayers. My your memories of Keith bring you peace at this difficult time. Our prayers are with you. Very sorry to hear this, thinking of his mother and dad. A friend forever. A kind and gentle soul who will be missed. Prayers to the family. Rest in Heaven Brother.